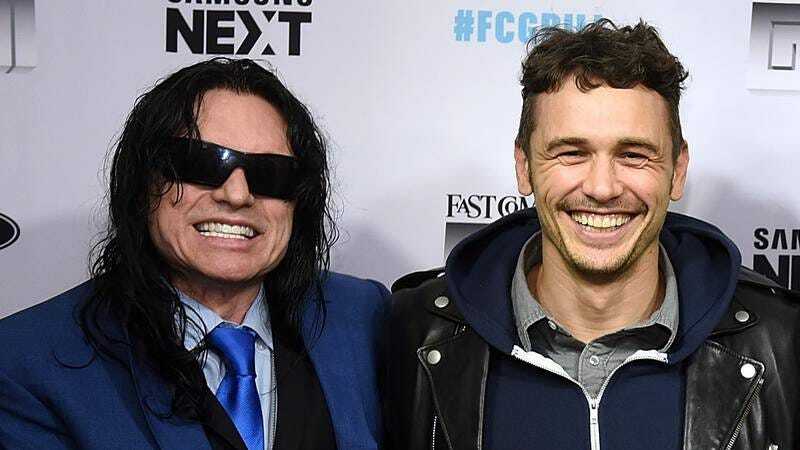 If The Disaster Artist, James Franco’s upcoming dramedy about the making of The Room, has a disproportionately large amount of random rose petals and awkward games of catch, at least now we know why. According to comedian Jason Mantzoukas—who has a small part in the movie as a guy who runs a video rental house—Franco directed the film in character as Tommy Wiseau. Or, at least, he directed it in Tommy Wiseau’s voice, which is apparently tricky enough to replicate that once you’ve got it, it’s best to keep it going for the rest of the day. We’ll find out if that’s true when The Disaster Artist hits theaters on December 1—right in the middle of Oscars season.